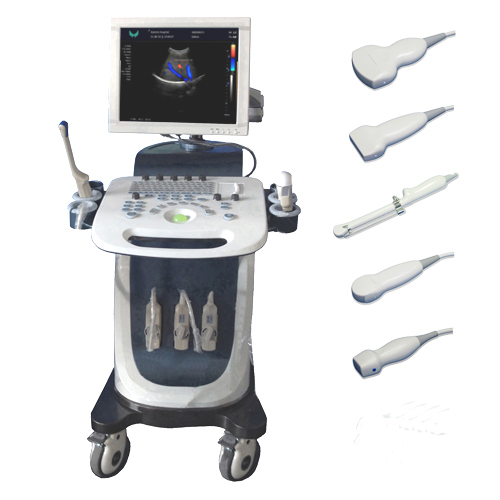 This is trolley type color doppler ultrasound diagnostic system,Image is clear and high resolution,It's imaging used lot of new processing techniques. model after many trials, the final pass by authoritative quality inspection departments qualified and into the market, the stable model appearance and the operation is simple, image is clear, powerful function, support 3D and 4D function.This model can fully meet the demand of developing countries for high cost performance. 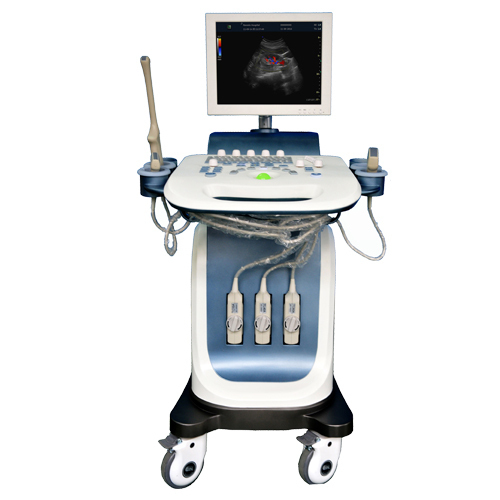 This trolley color doppler ultrasound systemic applications include abdominal,obstetric,gynecological, cardiac,vascular, urinary, small organ, breast, pediatric and neonatal imaging, fetal heart imaging, puncture, etc. Host appearance size: 950 ×520× 1260(length × width × height) (mm3). 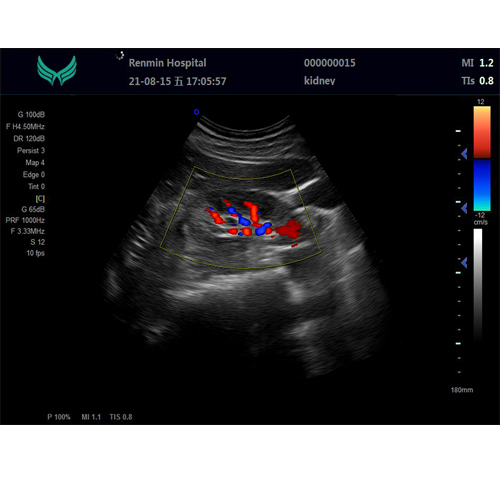 Package size:1090×700×1130(length × width × height) (mm3).